HOW TO USE: *1 tbsp. 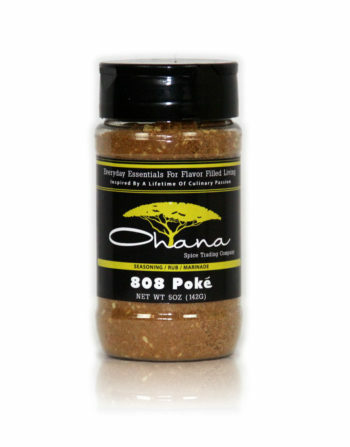 808 Poke RUB, 2 tbsp. water for traditional Hawaiian Poke. (raw tuna, any type of fish, cooked shrimp, mussels, octopus) Let marinate for 15 min. *1 tbsp. 808 Poke,2 tbsp. water for traditional Hawaiian Poke. (raw tuna, any type of fish, cooked shrimp, mussels, octopus)Let marinate for 15 min. A light blend of soy, ginger and spices that bring together sweet and salty. Activate the marinade by adding 1 1/3 tbsp. of liquid to 1 tbsp. of teriyaki powder. 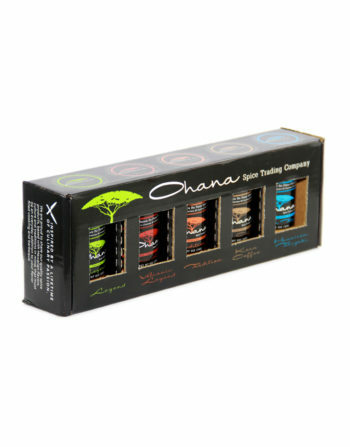 A perfectly balanced blend of ground chili pepper, aromatic Kona coffee combined with herbs and spices. 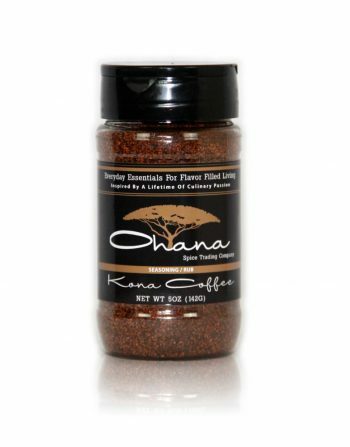 The fine ground Kona coffee and a pinch of sugar gives a deep roasted flavor with a slightly sweet finish. Especially good when combined with roasted pork. 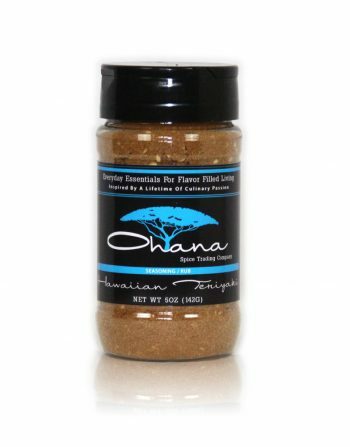 To see recipes using our Kona Coffee Spice Rub, click here! A bold blend of ground chili peppers, whole herbs and spices. 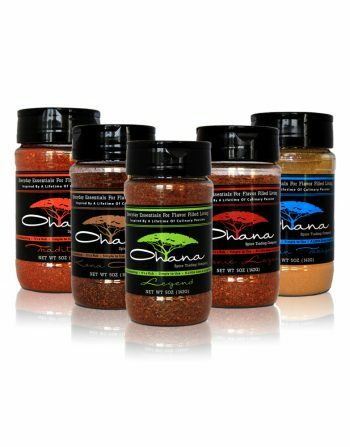 It can be used as a seasoning or a dry rub for grilled and roasted meats. This combination of ingredients contains a minimum of salt which allows the herbs and spices to dominate. 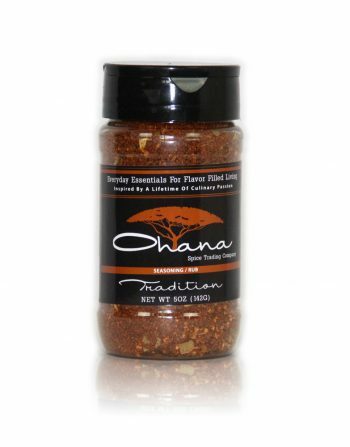 Perfect for seasoning soup, pot roasts and stews. 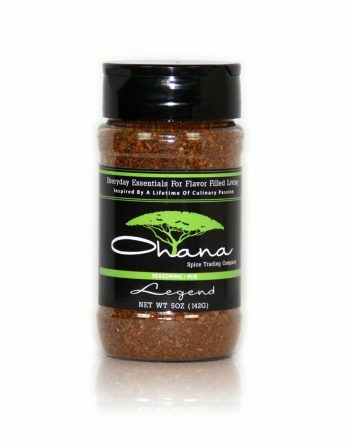 To see some recipes using our Legend Spice Blend, click here! A smoky and herbaceous seasoning that has a standalone flavor. Smoked paprika, marjoram, thyme and a touch of cumin create a blend that compliments, rather than over powers. Mild enough to use on vegetables, seafood and poultry. A much hotter version of Legend. 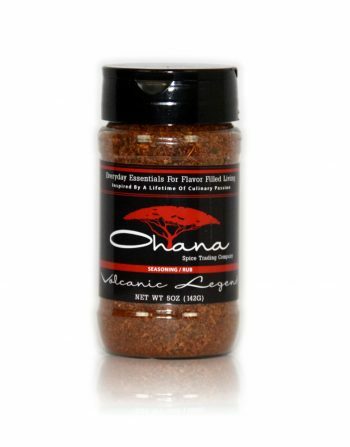 To see some recipes using our Volcanic Legend Spice Blend, click here!